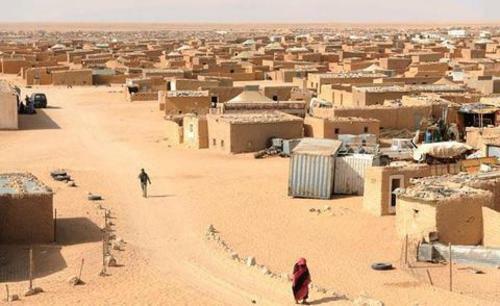 The deterioration of the security situation in the Tindouf camps is so alarming and politicians and human rights advocates have repeatedly sounded the alarm as to the fate of the Sahrawi people. Two American NGOs, Leadership Council for Human Rights and Teach the Children International (TCI), are among those sounding the alarm. Kathryn Cameron Porter and Nancy Huff, the chairwomen of the two NGOs and tireless human rights activists, are categorical about the dangerous situation prevailing in the Polisario-controlled camps in Tindouf, south western Algeria. These camps have become a hideaway for the trafficking networks and terrorist groups that thrive in the region, they underline. The revelations made by Spanish Foreign Minister José Manuel García-Margallo were however the most resounding. On September 20, during a hearing of the Foreign Affairs Committee of the Congress of Deputies, the lower house of the Cortes, the Spanish Foreign Minister presented an uncompromising report on the situation in the Tindouf camps. “The danger is real in the Tindouf camps and this danger has worsen ed over the past recent years,” he said. The situation became even more worrying as terrorist groups are taking advantage of Algeria’s porous borders with Mali, Mauritania and Niger, to move at ease throughout the area. The kidnapping of Western hostages are a tragic illustration of this situation. For Al Qaeda in the Islamic Maghreb (AQIM) and the movement for unity and jihad in West Africa (Mujao), the big ransoms obtained in exchange for the release of the hostages have become a lucrative and productive business. It was after a finding that these risks were increasing that Madrid ordered the evacuation of Spanish aid workers from the camps of Tindouf, insisted the Spanish official.